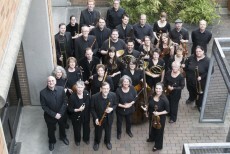 Euridice on the recording of Charpentier’s La descente d’Orphée aux enfers with the Boston Early Music Festival which won the 2015 GRAMMY AWARD for Best Opera Recording. Her highly acclaimed CDs have included her début solo album of Handel arias “The Power of Love” with Apollo’s Fire on the Avie label. McGegan, and made her début at the Oregon Bach Festival in Bach’s Mass in B Minor and Magnificat under Matthew Halls. Poppea and Drusilla L’incoronazione di Poppea, Niobe and Manto (recording) in Steffani’s Niobe, regina di Tebe, Aglaure Psyché (Lully), Venus Venus and Adonis (John Blow), Pallas The Judgment of Paris (Eccles), Isabelle Le Carnaval de Venise (Campra), Serpina La serva padrona and Edilia Almira, Königin von Castilien, for which she received rave reviews. Gramophone Magazine as “meltingly beautiful”. Major engagements in 2018 include her return to the Chicago Symphony to sing Schubert’s Mass No 6 in E Flat under Riccardo Muti and Messiah under Matthew Halls, Alexander’s Feast with Tafelmusik, Iole Hercules with the Handel and Haydn Society and performances with Boston Early Music Festival, Boston Baroque, Apollo’s Fire, St Paul Chamber Orchestra, Pacific Musicworks, the Kymi Sinfonietta, and Charlotte Symphony. 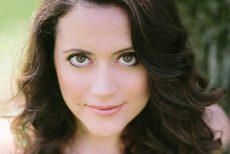 Forthcoming opera engagements include her début at the Rome Opera as Pamina, and Steffani’s Orlando Furioso (Angelica) at the 2019 Boston Early Music Festival. and Guillaume Tell as well as Manto in the Royal Opera production of Steffani’s Niobe (Opus Arte). Her latest CD of Steffani duets with the Boston Early Music Festival was awarded the Diapason d’Or in January 2018.